Today I will explain how to get the IP address of another computer remotely. Using some very basic tricks, we can find the IP address of any remote computer and then you can start hacking further into the remote system, like port scanning and finding vulnerabilities to enter into the system and hack it. There are several methods to get the IP address of a victim but I will share a few and highlight the best one. All of these methods are manual, meaning they don’t require special tools, and as an added bonus, they’re also free! We are here to learn concepts so first I will explain what an IP address is and why it’s significant. 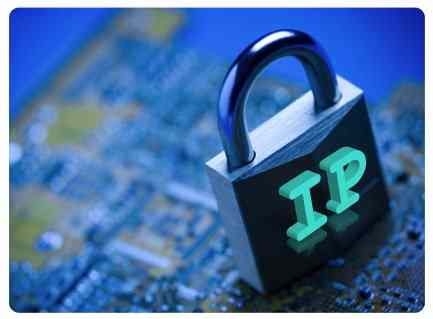 Basically, an IP address (Internet Protocol address) is a unique numerical value that is assigned to any computer or printer on a computer network that uses an internet protocol for communication purpose. Protocol is basically rules (for a Network, protocol refers to rules for communication). For exploring more about IP addressing read on Wikipedia. How to Find IP Address of Another Computer? a. Download the PHP notify script and extract files. b. Now you will get two files, IP.html and index.php. You need to upload these two files to any free web hosting server. Example: I used www.my3gb.com. Create an account and upload these two files as shown below. c. Now you will need to send the link of index.php to the victim whose password you want. To get the link, click on index.php, shown in above snapshot. A new window will open. Copy the link in the address bar and send to the victim. d. When the victim selects the above link, nothing will open, but his IP address will now be written in the ip.html file. Open the ip.html file to get his IP address. This method is for those who have their own blogs or websites. Any user can do this, as a blog is free to make. Make a new blog and use a stats service, such as histats. Add a new widget, input the histats code, and save the template. Send the link of your blog to your friend and get his IP address. b. Now register on this website and verify your account via the confirmation email. With the help of sniffers like Ethereal and Wireshark, we can sniff Gmail and Yahoo chat sessions while we chat any of our friends, extract the IP address from there. I will explain this trick in detail in my next article. We can also get IP addresses from online games like Counter Strike and Age of Empires. Many counter strike servers use amx mode. Plugins can show you the IP addresses of people connecting to the game server. If you have more access to the Counter Strike server you can use a status command in the console. Just go to console and type “status”(without quotes) and press enter. There you will see all the player’s details, including his steam ID. Now you have the IP address, but what you can do with it? Check out my next article to see.